Old pedal action sharpening wheel. 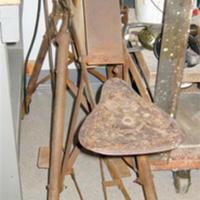 Scott Slocum thinks that this item came from the Stable but was there before Marshall. It could have been left over from a blacksmith to work on horse shoes.